Before we had children my husband and I started buying a Christmas ornament from the places we visited. The tradition continued in a frenzy once our boys were old enough to help us choose the ornament of the year. The ritual goes like this: the clerk carefully wraps the ornaments in tissue paper, and places it in a cardboard box. The ornament miraculously makes it home from our trip, whether by airplane, boat or car, unscathed. Once the ornament makes it to our tree, our traditional magic begins; one by one, each ornament ends up with a broken part. 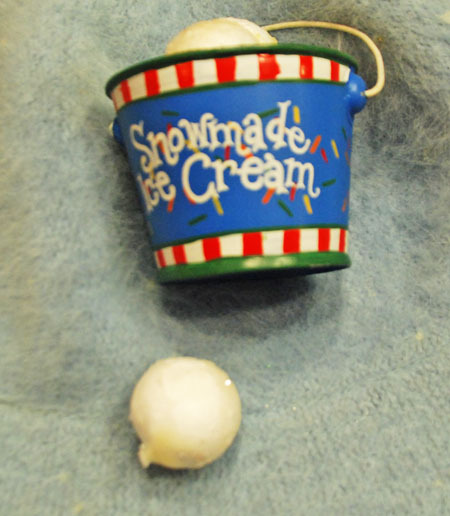 We have the “Snow made Ice Cream” from our trip to Michigan… a snowball is always rolling out of the pail. 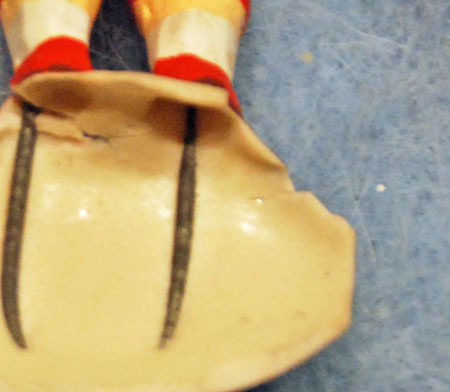 Our Santa Football player is now broken beyond repair. What tree is complete without a twisted sailboat? This one hurt the most. Just this week, I dropped the pig I made with my son 10 years ago. I know it can easily be re-made; but this one held the memory of that place and time that is so far away now, and can never be captured again. 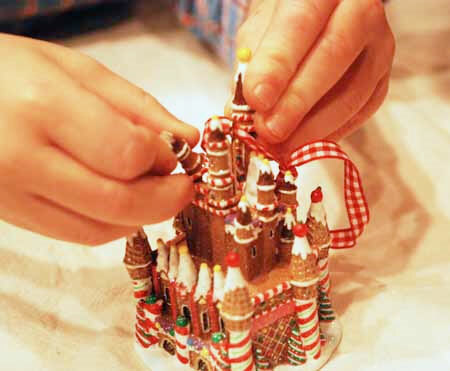 Still, when our littlest son broke our Disney Magic Kingdom ornament, we all gasped, and before we knew it, we had the little guy in tears. No ornament is worth the tears. And besides, it wouldn’t be our ornament if it wasn’t broken. The best part of putting up a Christmas tree is pulling out an ornament that reminds you of stories of places you have visited and things you have seen. We do the same thing, get an ornament from all the places we visit. I also have ornaments from when I was growing up and our grandparents took us to Bronners in Frankenmuth every single year. We got to pick out a new ornament every year and my mom would put our name and the year on them. 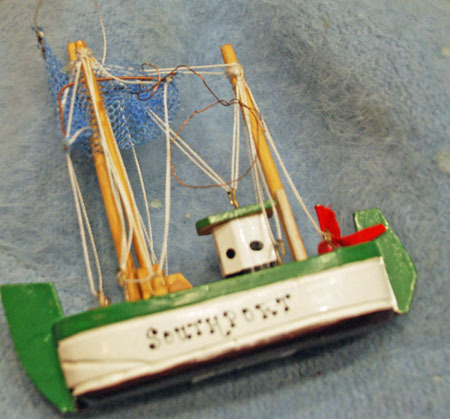 I think I have only one or two left that haven’t broken but one in particular that has stood the test of time is a little blue bulb ornament that has “Jani 1974” written on the bottom. My kids always love to talk about how old that ornament is. That probably is my favorite part of Christmas. I love looking at other people’s special ornaments. 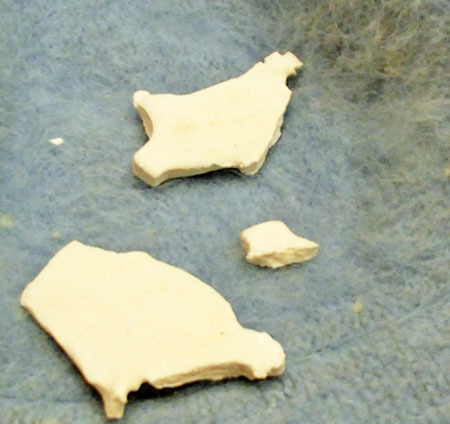 We have a few that have needed minor repairs too. My first ornament as a baby was a little wooden bird. She’s lacking her beak, but she’s still special. Not so much the pig, but with the other ornaments – it’s just a great excuse to go back again. And who needs any other excuse to go back to visit the Mouse? our ornaments have so many great memories, too, and this year MQ started the festivities by dropping a glass ball! P.S. The Elf snowball fight post is a riot.